Ahead of the February 16 elections, the Police Service Commission has approved the redeployment of 37 Commissioners of Police for the 36 states of the federation and the Federal Capital Territory, Abuja. The acting Inspector-General of Police, Mohammed Adamu, had recommended the redeployment of the affected officers to the PSC shortly after his appointment as the acting IG by President Muhammadu Buhari. The PSC spokesman, Ikechukwu Ani, said in a statement in Abuja on Thursday that the commission had approved the redeployment of the officers, adding that the Commissioners of Police were expected to proceed immediately to their new commands before the polls. In the new exercise, Egbetokun Kayode whose earlier posting to Lagos State was aborted by the acting IG, was redeployed to Kwara State on Wednesday. The FCT CP, Bala Ciroma, and his Ogun State counterpart, Ahmed Iliyasu, however, retained their positions, while Mu’azu Zubairu would take over from Edgal Imohimi in Lagos State. The force was silent on where Imohimi would be deployed to but sources at the police headquarters said he might be posted to Abuja. Egbetokun was the Chief Security Officer to the National Leader of the All Progressives Congress, Bola Tinubu, when he was the Lagos State governor. The posting, however, did not go down well with the Peoples Democratic Party. The PDP described it as a ploy to use the police to rig the elections in favour of the ruling All Progressives Congress. But in spite of this opposition, Ani said the affected Commissioners of Police should resume at their new commands before the February 16 elections. The Commissioners of Police and the states they are deployed to are: “Buba Sanusi, Katsina State; Mohammed Wakili, Kano State; Rabiu Ladodo, Jigawa State; Mu’azu Zubairu, Lagos State; Ibrahim Sabo, Niger State; Alkassam Sanusi, Taraba State; Garba M. Mukaddas, Adamawa State; Omololu Bishi, Benue State; and Bola Longe, Nasarawa State. Also, the Chairman of the Commission, Alhaji Musiliu Smith, charged the CPs to quickly settle at their new posts and ensure that the elections at their various commands were peaceful, free, fair and transparent. Meanwhile, the IG has met with the Counter-Terrorism and Special Protection Unit Commanders, where he informed them about their responsibilities during the elections. Within the context of the Strategic Election Security Operational Plan of the Force, Adamu said the men would provide specialised protection for the Independent National Electoral Commission workers, youth corps members and other ad hoc personnel of the commission that would be deployed for the elections. But the opposition political parties under the aegis of the Coalition of United Political Parties has claimed that the ongoing reorganisation of the police which has led to the redeployment of some officers was aimed at favouring the ruling All Progressives Congress during the general elections. The spokesman for the coalition, Imo Ugochinyere, alleged in a statement on Wednesday that the police hierarchy had asked some APC leaders to name the commissioners, area commanders, divisional police officers, SARS commanders, Rapid Response Squad Commanders and MOPOL Commanders they wanted in their states. Ugochinyere described the “politically tainted police postings” as an invitation to a bloody electoral crisis and demanded a reversal of the postings. He added, “The acting IG is set to among other politically tainted postings announce the appointment of a Deputy Commissioner of Police, Kayode Egbetokun, a former CSO to Bola Tinubu, as the Kwara State CP. “The APC wants to post Egbetokun to Kwara to ensure that votes do not count in the state and that Senator Bukola Saraki and the PDP must not win in Kwara even if the people vote for them. Also, the PDP National Publicity Secretary, Mr Kola Ologbondiyan, has alleged that Egbetokun has been instructed to cause pandemonium in Kwara to enable the APC to rig the elections. Ologbondiyan, who spoke at a press conference in Abuja on Wednesday, also alleged that the police officers being posted had been directed to intimidate, harass and manhandle those against Buhari’s re-election. Ologbondiyan said, “Nigerians are aware of how Egbetokun was posted to Lagos State by the former IG, Idris Ibrahim, to serve the same partisan interest and how that posting was stopped by the new IGP. Now, he is being redeployed to Kwara State for the same ignoble plot. However, the APC has debunked allegations by the CUPP and the PDP that the police hierarchy had compromised police posting for the purpose of providing security in its favour. The APC National Publicity Secretary, Mallam Lanre Issa-Onilu, in a statement on Wednesday in Abuja, described the allegations as laughable. 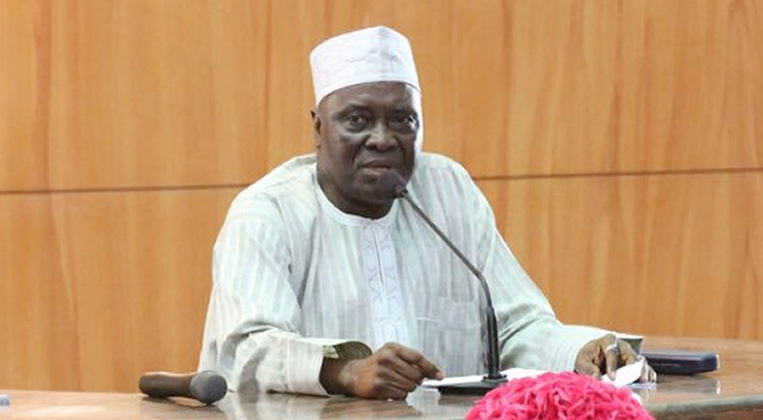 Issa-Onilu reiterated that the APC National Chairman, Adams Oshiomhole, and indeed other senior party leaders mentioned in the statement were too busy with the party’s presidential campaigns. He stressed that the APC leadership was too busy with campaigns than to be involved in the childish conspiracies and spurious allegations contained in the statement. Issa-Onilu, however, said that it was not within the rights or responsibility of any political organisation or group to dictate to agencies empowered by laws how to deliver on specific mandates. The APC spokesman added that the party believed that leaders with a modicum of honour, should not tread on the path of cowardice by hiding under nebulous groups to make unsubstantiated allegations. He noted that the APC, however, understood that people’s fears were oftentimes their own weaknesses. He said it was clear that Saraki, the PDP, and their cronies were recollecting their usual practice of manipulating state institutions to achieve their political ends. According to him, the PDP is now scared of its own shadows. “Let it be known that our party, the APC, has not copied such dubious template from the PDP,” Issa-Onilu said. He reiterated that “a new and progressive Kwara State beckons through the votes of the people,” adding that the Kwara electorate would decide on the new political direction in the state. “Kwara State has suffered enough backwardness and underdevelopment resulting from the selfish grip of a self-appointed leader in the state. “In the next election, the will of the Kwara electorate will prevail,” Issa-Onilu said.